After Google introduced a new animal – Penguin – in its system, numerous websites have experienced decline in their rankings. While the said update was Google’s immediate action to combat “spammy” websites that achieve higher rankings in SERP, some legitimate site owners are not happy at all because they’ve been wrongfully hit by the Penguin update. Google’s Search Quality team listened to what these legitimate site owners have to say and they’ve actually set up a form that is solely dedicated for webmasters to use to let Google know if they’ve been unfairly hit. Sure, the form can help, but if you are a website owner and you’re site has been unfairly affected by the said update, you don’t want to just sit their and wait for Google to resolve the issue alone. Or, if your site managed to pull through the change, you do not want to be the next in line to get hit, right? 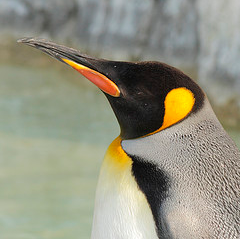 Google said that the whole Penguin update will be gradually deployed in the coming weeks. With that said, it’s about time that you make some improvements in your link building strategies not only to befriend the Penguin, but also make an excellent long term relationship with it. Quality counts. Although this has been said numerous times, it’s serious this time. Now more than ever, Google is focused in high quality and relevant content. Should the Penguin found that your website it full of duplicate content combined with a mass of backlinks from untrusted sites, then you can expect to be penalized. If you would be doing a content, say for instance a guest post, make sure that it is fresh, contains a good link and is not profuse with keywords. You would also want to make a content that others will find relevant because if people see its value, they are likely to stay longer on your site and possibly share with others or their social profiles. When you create a quality content, it’s like hitting two birds with one stone – Penguin will not penalize you and you provide an enhanced user experience. Get social. Many SEO experts believe that social signals greatly affect rankings. As such, when you make content for your website or blog, it pays to share it in your social pages as well. You can find a wide variety of social media plug-ins that you can easily integrate in your website or blog, which in turn will automate the process for you. When you share relevant content over at social networking platforms, it can be liked, shared, retweeted, +1, or pinned, which in turn can spread your content beyond your actual fan base and will also give you good points SEO-wise. Bring your inner pages to the forefront. Of course, if you are link building, it is likely that you are always linking your content to your site’s or blog’s homepage. You might want to change this strategy. Why? If all your backlinks are always pointing to your homepage, you might tick off the Penguin and it may consider your site as spammy. Therefore, make sure that your site is properly structured and you link to your inner pages as well. Use correct keyword to connect to the right internal pages. This will allow both the users and Google to crawl to your site. Drop the exact match anchor text. Gone are the days of exact match anchor texts. With the Penguin patiently waiting in the corner, Google made it clear that you cannot simply make your way up on the ranking by using the same keywords in your anchor text repetitively. Sites that do this are likely to be penalized because Google deems it as over optimization. With that said, take the time to add variety to your anchor links. Use synonyms, URL, plurals, or brand names among others. Diversifying your anchor text will let Google know that you taking the time to direct your audience to the right direction. Double check outsourced content. If you accept posts from others (guest posts) or outsourced articles, you might want to check it first before publishing to your site or blog. You will never know which site it is linking to and this can ruin your reputation with the Penguin altogether. Article was written by SEO Consultant Robert Kirk who works for an SEO Company in Scotland called RFK Solutions Ltd they also have sister company RFK Print Solutions an online print division of the main company.